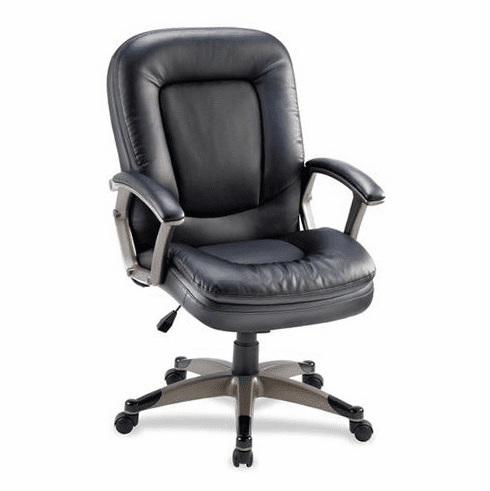 This plush office chair from Lorell features bonded leather upholstery. Bonded leather is a split leather with a layer of polyurethane applied to the surface for a soft top grain leather feel and lasting durability. This chair normally ships within 1-2 business days from 30 warehouse locations nationwide.